Even with privacy concerns over Facebook in recent weeks, the social networking site is still finding itself in the spotlight. Sometime this week, Ford Motor Company will launch a marketing campaign to reveal the 2011 Explorer on Facebook instead of a traditional launch at an auto show. There has been no specific date given for the new vehicle’s announcement yet, just that it will be in July. 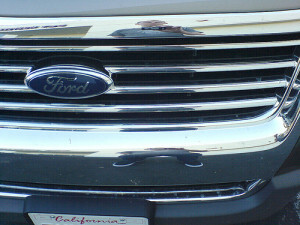 Linking the Explorer with Ford’s social-marketing strategy could help the brand be more relevant. Monty says Ford is using the Internet to help customers see it not as a faceless monolith, but as an organization of people like them who can answer questions, and listen to ideas and complaints. It makes sense to include Facebook in major marketing campaigns, as the site races closer to omnipresence. Facebook recently partnered with Kodak to let users log into their Facebook account on kiosks in stores like Target and CVS. From those kiosks, users can then print photos stored on their Facebook profiles, albeit they are low-quality prints since the digital photos are compressed to consume less space on the site’s servers. Social networks have begun to break out of the artificial confines of computers and into a bigger context that will transform how people use them [… S]ocial networks have broken computing’s fourth wall: the display built into a monitor, laptop, or tablet. […]Up until now, the popular social networks have relied on computers of some form, whether a desktop or a smartphone, to run a specific application. But companies have clearly begun to think differently. Users who link their accounts will also be able to share actions they take elsewhere on Yahoo — Yahoo Sports, Flickr, and Yahoo Movies, for example — on Facebook. […] Yahoo Profiles will also now include a single dashboard from which users can manage their profiles across the Web, including on Facebook. Image by Xurble, used under its Creative Commons license.